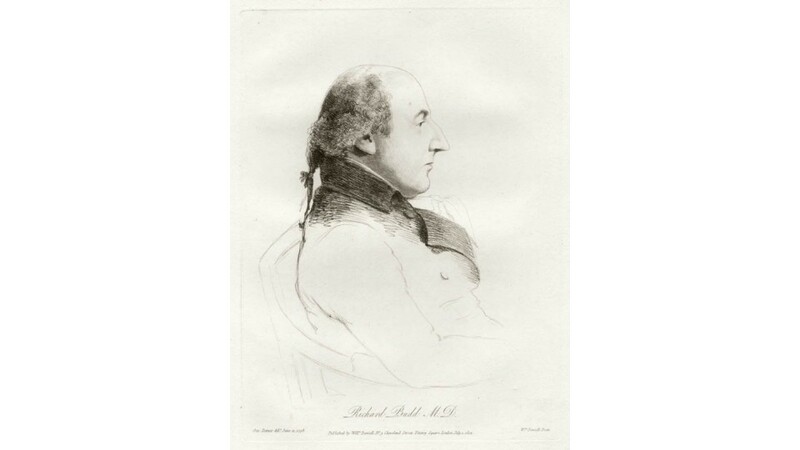 Richard Budd MD was an English physician who was admitted as Fellow of the Royal College of Physicians in 1777. 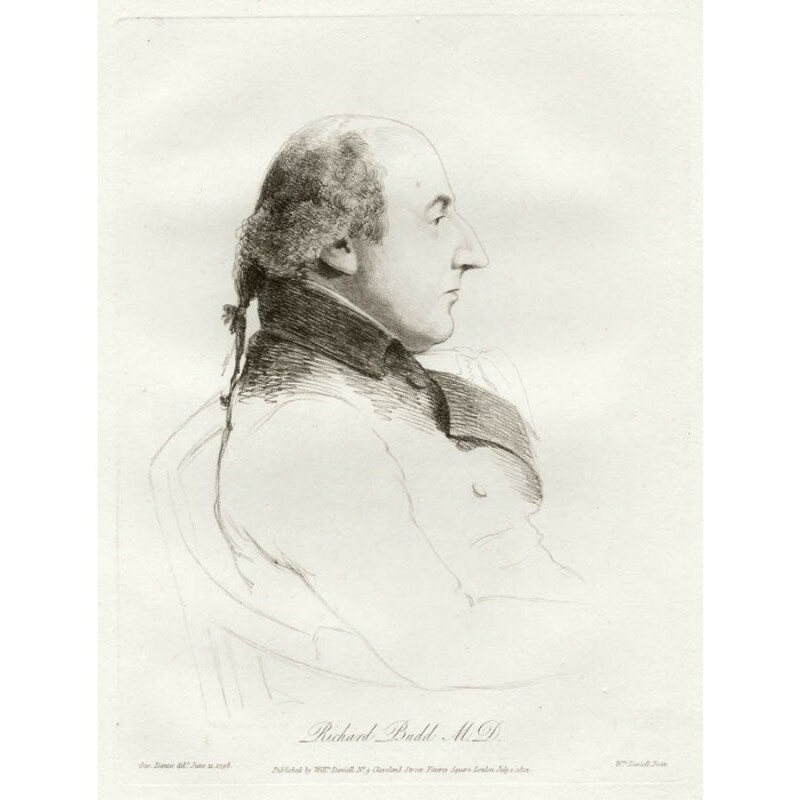 In 1780 he was chosen Physician to the Royal Hospital of St Bartholomew and in 1800 as Physician of the Royal Foundation of Christ's Hospital. There is a monument in Brixton, Lambeth, London dedicated to Richard Budd by his son. Dance was an architect, draughtsman and founder member of the Royal Academy. This portrait comes from a series of chalk portraits that he did of his friends, 72 of which were engraved and published (1808-1814) by Daniell who was an engraver as well as a reknown landscape painter. Accompanied by original descriptive text.